Congratulations! You have completed some focused hard work and your prayers have been heard and answered! You can be rest assured that all will work out and be fine. The task is to be totally present to the feelings of peace and satisfaction. Your success not only benefits you but uplifts others also. “Have faith” is the message. Release any doubts or fears over to the angels! Archangel Sandalphon ‘s aura is turquoise. He assists artists, musicians and singers, also. You can call upon him to assist in any integrity issues with your spiritual gifts of manifesting, prophecy and healing. He can help you speak your truth clearly so that it empowers everyone. He also supports you in appreciating all your daily victories! 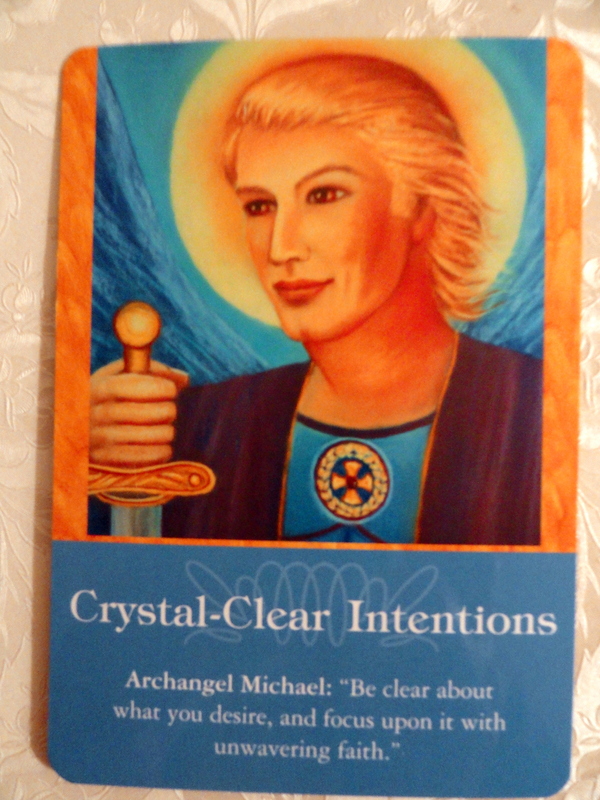 For Wednesday and Thursday, we have the message from Archangel Michael: “ Crystal- Clear Intentions. Be clear about what you desire, and focus upon it with unwavering faith”. This message continues from the previous one. Stay the course and continue to be very clear and focused on what you want! Be courageous and bold enough to admit what you truly desire. You along with everyone else deserve their dreams to come true! Abundance and prosperity are gifts the angels and God want for everyone. You bring towards you your share when you hold a clear mental picture in your mind. I just listened to Kyle Gray, the popular Scottish spiritual teacher on Hayhouse Radio speak about doing victory dances in celebration of his desire already manifested! Go ahead! Do your victory dance to allow yourself to enjoy and feel the prayer and desire fulfilled! Give all concerns and worries over to God and the angels in regards to how it will happen. They are way more creative than we could ever imagine! Our job is to listen and follow any directions or suggestions we are given, so that we can be their partners in the creation. Archangel Michael’s aura is royal blue mixed with tinges of royal purple. You can also wear a crystal, sugalite pendant to deepen your connection with him. If life has been stirring up changes lately, it is all fine as it all part of your life purpose! Whether it is to shift in your present career or start a whole new path, it is time, as it’s happening! Sometimes transitions can be stressful. Be sure to allow yourself to be supported by the angels by listening for repetitive messages as in ideas, dreams visions as these are guidance on steps to take. It doesn’t matter how big the step as even a tiny one tells the Universe you are a ‘Yes!” for fulfilling your life purpose. Archangel Chamuel’s name means ‘He who sees God’ and is known as the “Finding Angel”. 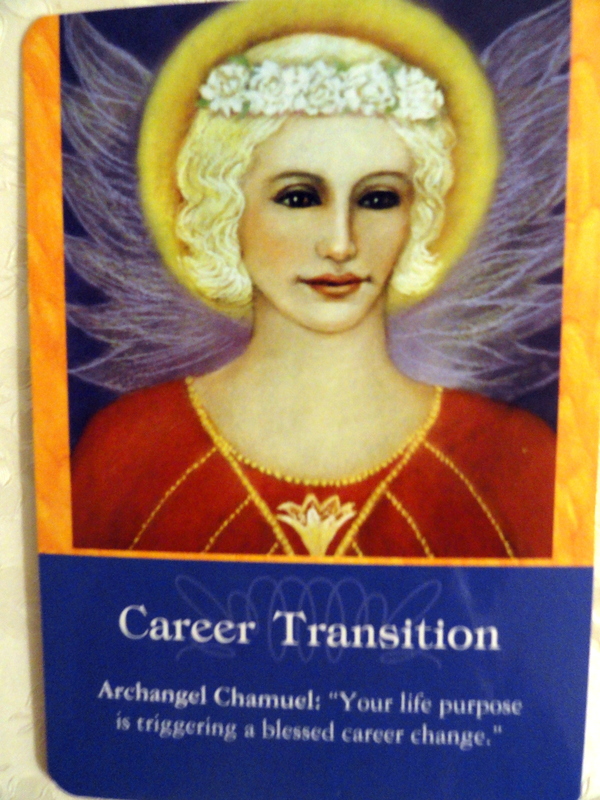 He can assist you in finding a new career, even things, people, soulmates and situations. His aura is pale green. 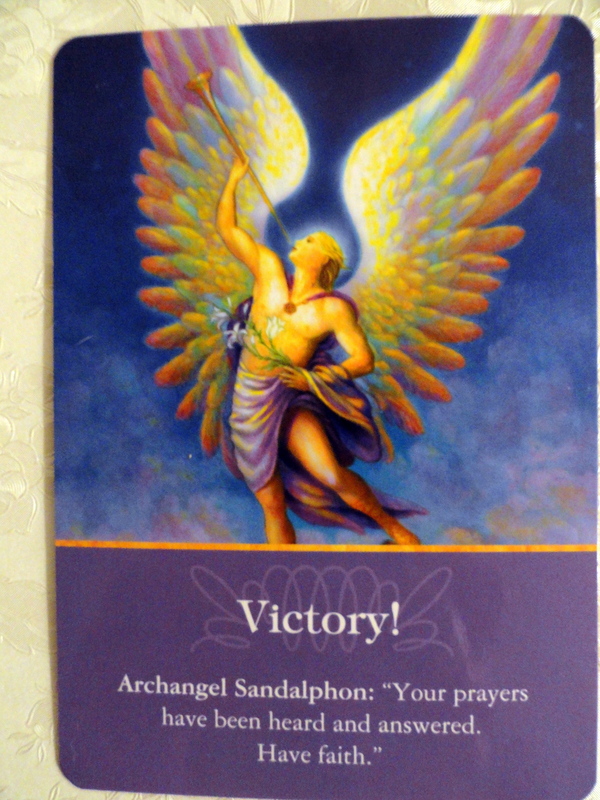 Next Weekly Angel Card Reading for December 9 through 15.